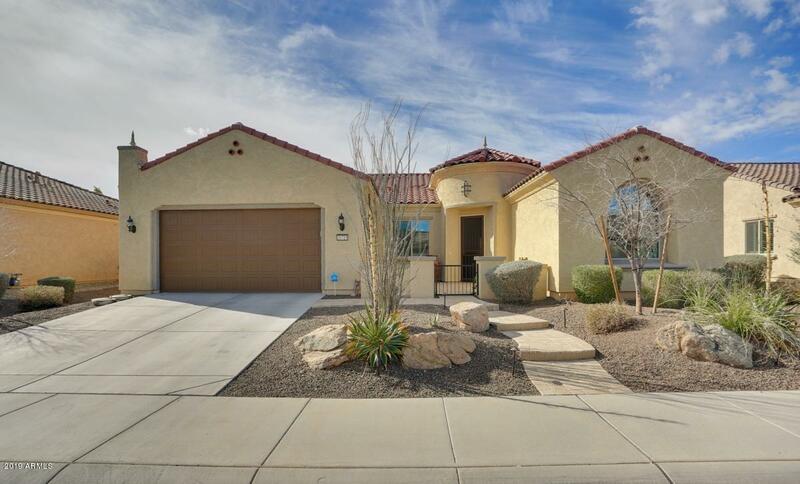 All SUN CITY FESTIVAL homes currently listed for sale in Buckeye as of 04/24/2019 are shown below. You can change the search criteria at any time by pressing the 'Change Search' button below. "Come live in this resort style active adult community, Sun City Festival! You'll love all the features this community & home offers! Plenty of space in this 2,845 sf beauty! Features include surround sound in family room, upgraded cherry cabinets, granite slab counter tops, stainless steel appliances, large breakfast bar, plantation wood shutters, built-in desk, and an office w/built-in bookshelf. Large laundry room w/ extra cabinets for storage. Entertain in the backyard w/pebble tech pool & bu"
"Beautifully upgraded Serenity on oversized lot w/ private south facing backyard. 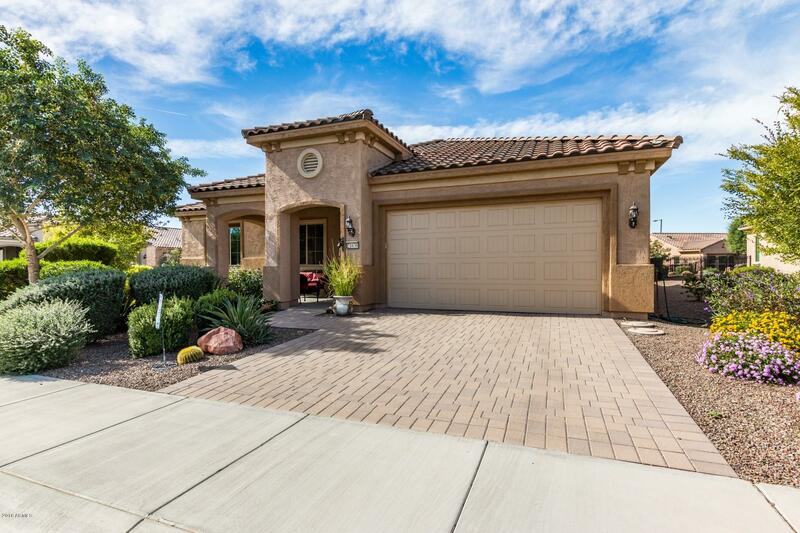 Enjoy Arizona living on the extended travertine patio featuring a built-in gas fireplace, BBQ & water feature. The gourmet kitchen boasts upgraded staggered height Mission style cabinets, pull-outs, SS appliances, Granite counters, tile backsplash, gas cooktop, pendant lighting & more! 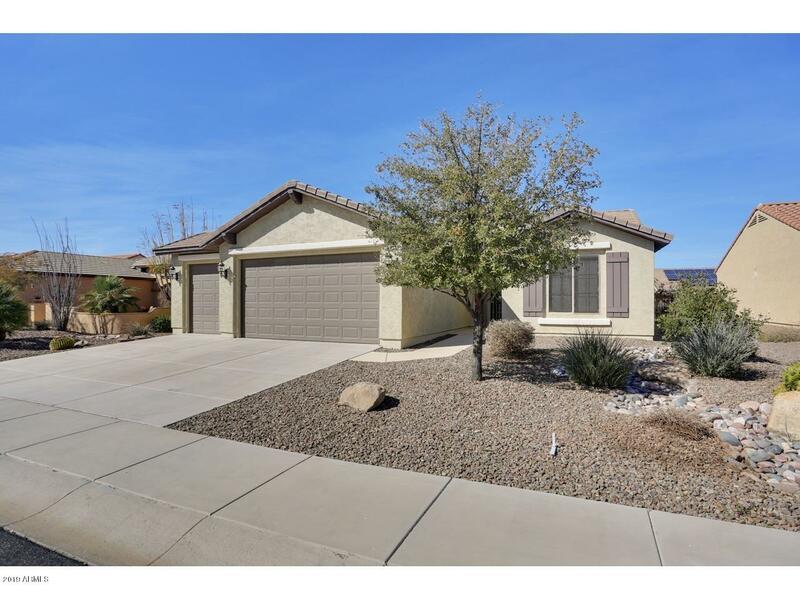 Other interior/exterior appointments include wood floors throughout main living area, travertine-look porcelain tile in bathrooms/u"
"Stunning corner lot home available in the highly desirable Sun City Festival community. 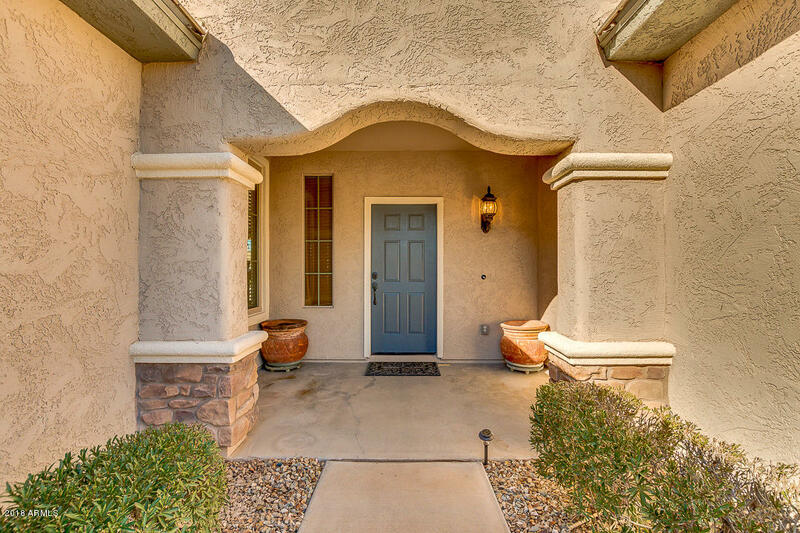 The community offers excellent golfing at the Copper Canyon Country Club, a recreation center, community pool/ spa, tennis, biking and walking paths. Boasting over 2000 square feet this wonderful home features two spacious bedroom, office/ den area, recessed lighting and large window to allow in plenty of natural light. The open floor plan is perfect for entertaining guests. The elegant kitchen includes grani"
"A must see this Jamboree model has extended garage with lots of storage. Covered patio with ceiling fan and accent lighting on the pergola. 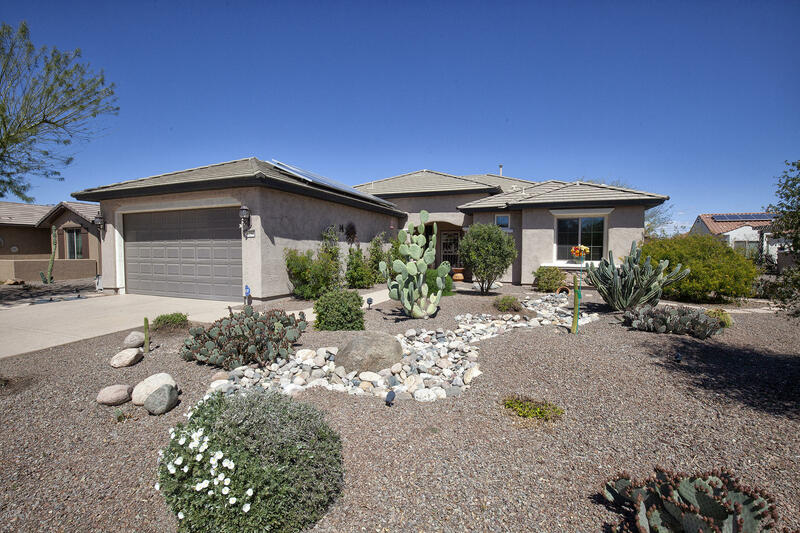 Professional desert landscaping with drip system. Inside you have granite counter tops, built-in stainless steel appliances, solar tube, microwave, reverse osmosis and soft water system. Large great room with dining area, breakfast nook and tile floors. Office / Den with tile floors and wired for internet / TV. All bedrooms have wood flooring, the master ha"
"Wonderfully upgraded 2 Bedroom/2 Bathroom Home PLUS a Den/Office. Jamboree model on over-sized lot! Open Floor plan. Granite Countertops, Stainless steel appliances. Beautiful low-maintenance landscaping. Sun City Festival is an Active Adult community with amazing golf course and recreation centers." "THE HIGHLY SOUGHT AFTER GALA MODEL CAN BE YOURS! You will love how 1612 sq ft This open concept, split floor plan Lives Large! 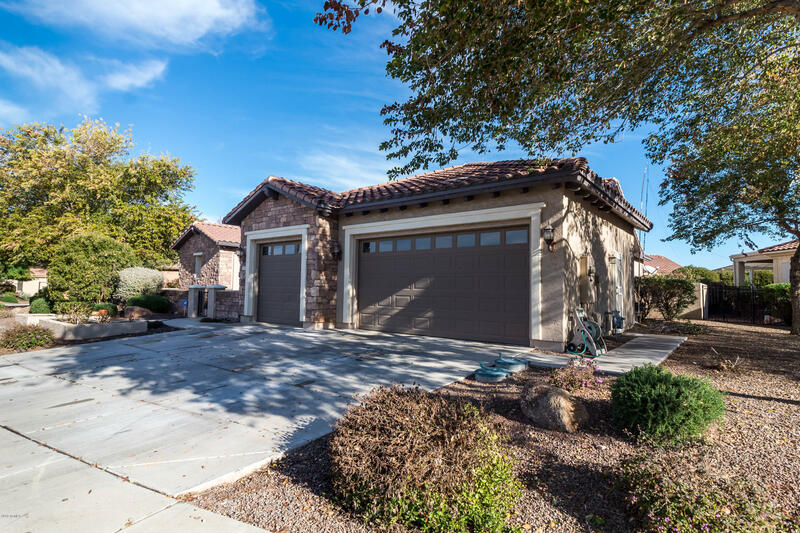 Carpet and tile in all the right places, Spacious kitchen , Beautiful staggered cabinetry with hand made leaded glass doors, granite counters & breakfast bar. Master suite with Bay Window dual sinks separate water closet and the Huge 8x14 walk in closet Spacious Den/Office or craft room, Light bright guest room. Additional features include ; Gorgeous hand made sta"
"Charming, VALOR model, Furnished, Open concept floor plan, Warm interior palette, carpet and tile in all the right places, Chefs kitchen features granite counters, center island, breakfast nook , SS appliances, staggered cabinetry and built in desk area. Very light and bright great room, den/office/ flex room & guest bedroom off foyer. Generous Master Suite, dual sinks, private water closet, step in shower. 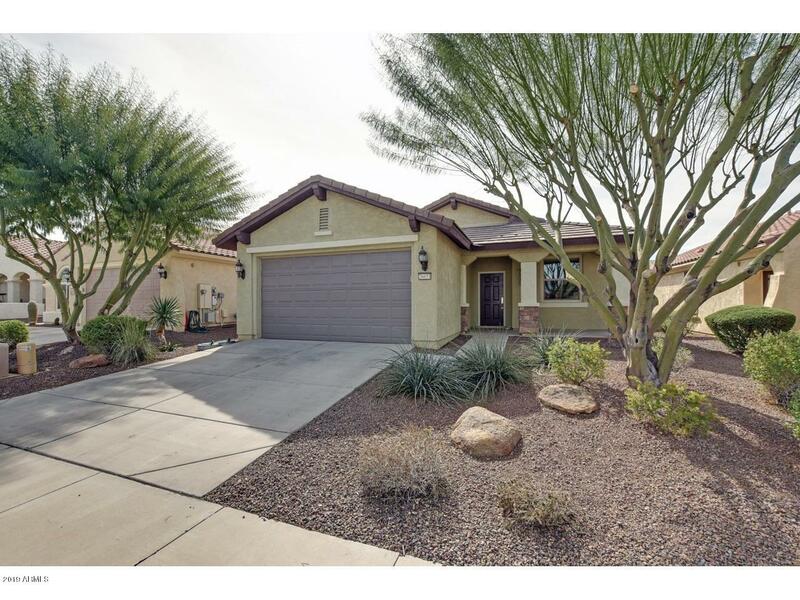 Home features newer paint and soft water system.Take advantage of the outdoor living spa"